One of my favorite toys, and passions in life, is my kayak and kayak fishing. A kayak’s size and light weight works well with our kind of lifestyle and the places we visit. We’ve been up and down the East coast and every where we go, I can barely launch my fishing kayak before someone wants to talk to me about it! It’s quite a fishing machine when fully rigged. 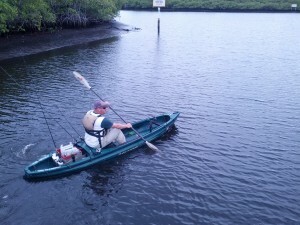 Kayak fishing is gaining popularity every day. This awesome sport is one that nearly anyone can get into quickly and affordably.